The KJ Blog | Nominated for BEST Photographer in Dallas! 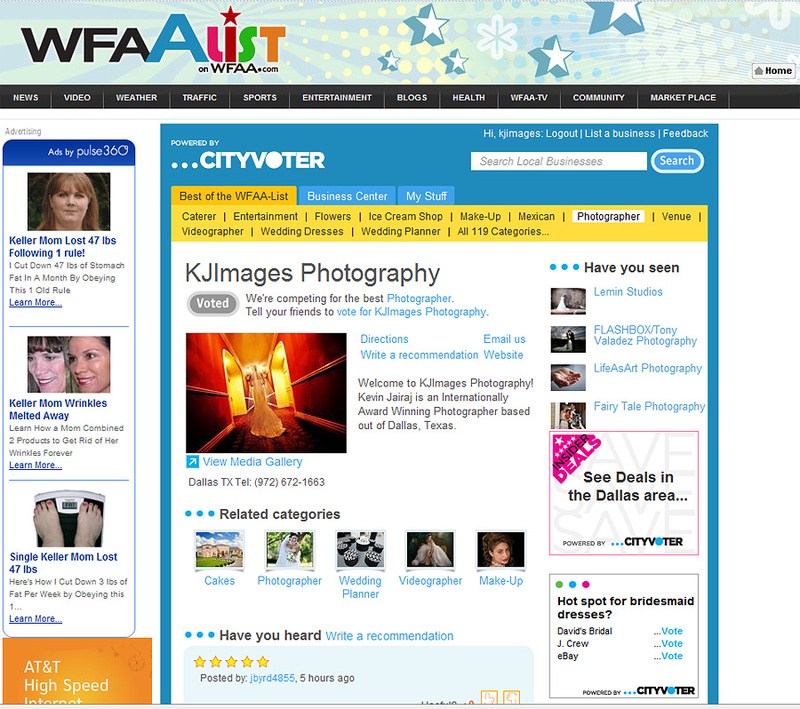 Nominated for BEST Photographer in Dallas! I was pleasantly surprised to see that I was nominated as one of the best photographers in Dallas! I truly thank all of my wonderful clients for allowing me to create those special images for them in my unique style!! Thanks again and please vote for me! (Click on the link below).